Make your very own adorable teddy bear complete with stylish hat and coat. The tricky sewing of the bear has already been done! All you have to do is fill and sew up the back of the body using the safe plastic needle included. Stitch up her cute pink coat and hat which includes pre-punched holes for easy sewing and then decorate with the felt flower pieces. The kit also comes with a birth certificate for you to fill in your teddies name and date of birth! 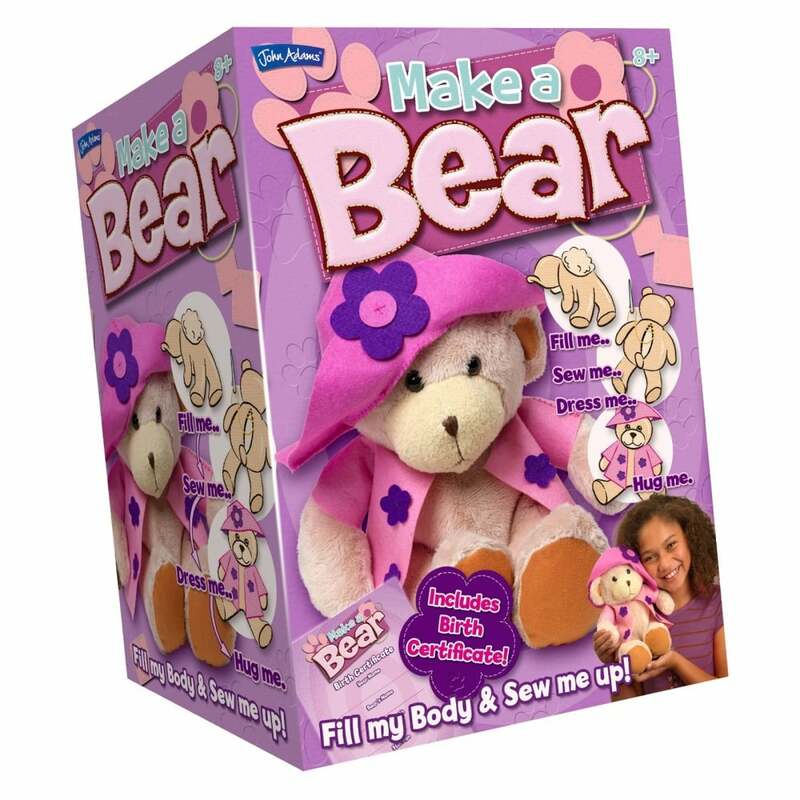 Box Contains: 1 x bear skin, bag of soft polyester toy filling, 1 set of felt outfit, pieces, felt flower details, pink embroidery thread, 1 x plastic needle and set of 'easy to follow' instructions.